We’re With You Everywhere – What you need to stay safe while enjoying time on your boat! 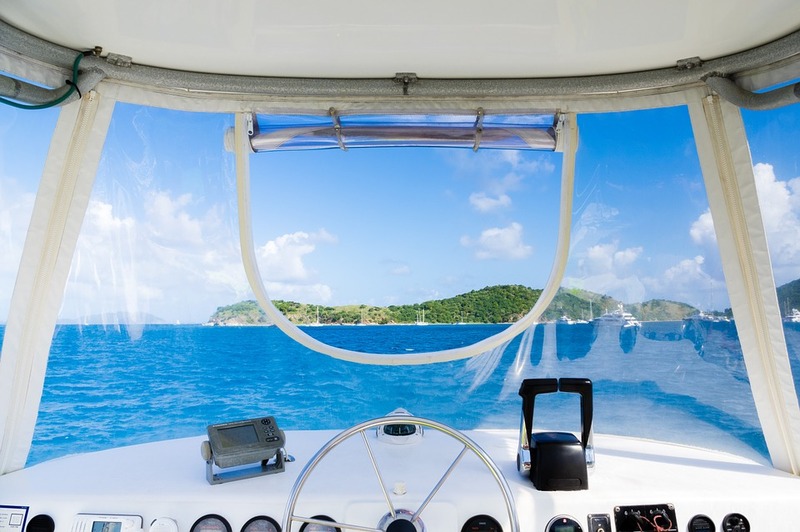 - Scarsdale Premier Insurance Agency | Advocate Brokerage Corp.
With warm weather, summer hours and no school, it is no wonder that summer is the busiest boating time of year. At Advocate Brokerage, our goal is to help you to protect your interests wherever you are. At home, far from home or on the open sea, we are with you everywhere. If you are a boat owner, we want you to be able to fully enjoy your time out on the water with your family and friends. Below is a list of equipment that will help keep you safe while enjoying a day on your beloved watercraft. The first list is all items that are required by the US Coast Guard (and in New York State), the second list of items that may not be required but will certainly help just in case something unexpected comes you way. PFDs – PFD stands for Personal Flotation Device and there is a reason it is the first item on our list! According to the NY State Office of Parks & Recreation, 50% of all boating deaths in NY could have been avoided if the victim had been wearing a lifejacket. The rule is there must be a US Coast Guard approved PFD for each person on board. 50% of all boating deaths in New York could have been avoided if the victim had been wearing a lifejacket. Valid Registration – If your boat is mechanically propelled, if it has a motor, then you are required to have proof of valid registration on board. Capacity Plate – Boats up to 26’ are required to display a plate that explains the maximum number of people that can safely be carried on board and the maximum weight capacity of passengers and cargo. Sound Producing Device – Every vessel needs to have a sound producing device of some kind on board. This can be a simple whistle, an air horn or a fancy bell. If you are in trouble and unable to utilize technology or radio, you need to be able to let others on the water know you are in distress. Visual Distress Signal – If you run into trouble a visual distress signal will help you attract attention. You need to be sure that you have signals that are suitable for both daytime and nighttime use, that way if your radio is not working, you can still get the help you need. Fire Extinguisher – On-board fires are the second most common reason boaters are forced to abandon ship. Having a fire extinguisher is not just a good idea, it is required. Depending on the size of your watercraft, you may be required to carry more than one on board. Back–Fire Flame Arrestor – If your boat has an onboard gasoline powered engine, you are required to have a back-fire flame arrestor on board. This will help to prevent the ignition of gasoline vapors in the event of a back-fire. Throw-able Flotation Device – Obviously you want everyone aboard your boat to have a wonderful time and to return home safely. What if a passenger has had a touch too much to drink and falls overboard without a PFD on? It is in that moment that a throw-able flotation device is just what you need. If your boat is over 16’ then having a throw-able flotation device is required. Anchor and Line – If your boat is propelled mechanically, New York State requires all boats regardless of their size and class to have anchor and line onboard. Navigational Lights – If your boating plans include an early morning to watch the sun rise or a late night under the stars you are required to have navigational lights. They are also required when visibility is limited (such as fog, rain or haze). When motors fail having Paddles & Oars on board are a good idea. If your outing includes a stop on the journey, Dock Lines are vital to keep your boat secured. Marine Radio will help in rescue situations and aid in communication with marinas, bridges and harbors. Pretty sure at least one of your passengers will have this covered, but a Cell Phone is quite handy in case of trouble. Even if you are not a skilled mechanic, having a Tool Kit on board your boat can help you with a wide range of troubles that could come your way while you are enjoying a day on your watercraft. Some items found in a good tool kit: screwdrivers, wrenches, pliers, ratchets and sockets, scissors, emergency repair tape, cable ties, extra fuses, Velcro, screws, clamps and marine caulk. If you run into trouble at night, a Flashlight may just become your best friend. Having a First Aid Kit on board is always a good idea. Even if you never run into a big emergency having some antibiotic ointment and band aids aboard will certainly come in handy. Nothing like running out of fuel when you are a few miles from shore. Keep a bit of Spare Fuel stowed away, just in case. Summer should be a time of relaxation and fun! A bit of preparation can go a long way to making sure you have the perfect day out on the water. If you are new to boat owner, Advocate can review your coverage portfolio as a whole to be sure that you have the type of coverage suited to fit your particular needs. We can help you to be sure you have adequate protection for your boat and its passengers without gaps in coverage. If you have questions regarding coverage for your watercraft, we encourage you to give us a call at 914-723-7100.